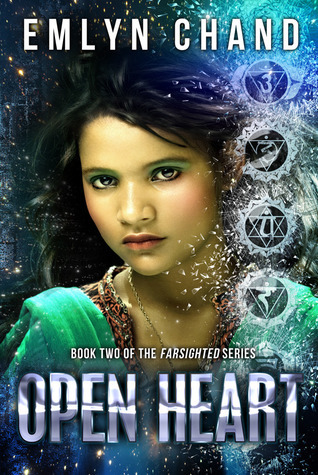 Welcome to Short and Sweet's stop on the Open Heart Review Tour! Today I am sharing my thoughts about Open Heart and sharing the trailer with you! First of all, can I say- I LOVE these covers compared to the original! I am so glad that they got a redesign- they are so much more appealing now! I love the color scheme, the backgrounds and the cover models- just gorgeous! I haven't had the chance to read Farsighted, so I am writing this review from the view that I missed the first book. This was an excellent book. I really enjoyed Simmi, but man did she make me angry through most of the book. I was originally going to say, "This is an awful terrible book!" I had to remind myself that no, the author is just talented enough to write a character that made me want to punch her in the face (the character not the author) and a story that was intriguing enough to keep me entranced. From what I gather in the book, in the first novel Simmi is a different person. She is confident and makes some really stupid mistakes and also "saves the day". In this book, she seems to be the complete opposite. She is in shock and disbelief about the events at the end of the last book and is a broken shell of a person. She doesn't love herself and is struggling with major body images (and some serious issues to go along with that.) This is a heartbreaking and very real storyline. Teens (and adults) can undoubtedly relate to that voice in your head that tells you "You are not good enough and you do not deserve good things". As much as I wish there was a character out there that can own her plus-sizeness without having to go through a revelation or a weight loss journey, this is an honest and painful take about how hard it is to feel like you don't fit in. The love triangle between Alex, Simmi and Dax was good, but it absolutely took a back seat in my mind to Simmi's own problems with herself. I enjoyed reading this book from her point of view and would love to go back and read the first to get into Alex's head. I don't usually read a ton of Indie or Small Pub books, but I have to say, this one reads like a professionally edited book from a traditional publishing house. I really enjoyed this book (and can I say- the diversity in this book? Heck yes!) I am eager to see more from this author. Check out the rest of the tour for this original YA series! I'm happy to hear the love triangle was not center focus. I hate romance driven angst, and love triangles are the worst culprits. These covers are pretty cool. I don't usually like faces or people on covers, but these work. Thank you for the wonderful review, Coranne. I'm so glad you enjoyed Open Heart even though you wanted to punch Simmi in the face :-P I promise she'll start to receive her comeuppance in Pitch, and thank you for the praise with regards to the editing and my publishing house. Evolved Publishing may be small, but they have high standards for quality. Love my editor! Ha ha ha, but I wanted to punch her in the nicest way possible! :) More of a.. "Get your act together woman!" than an "I hate you!" These books look good. They're now on my Amazon wishlist! I also didn't see the original covers, but I think these look awesome.